Goosetown is pleased to announce the availability of the following remote site equipment. We can supply a heavy duty Pisten Bully PB100 with a 2500 pound load capacity, pintel hook tow capability and 18,000 pound winch. 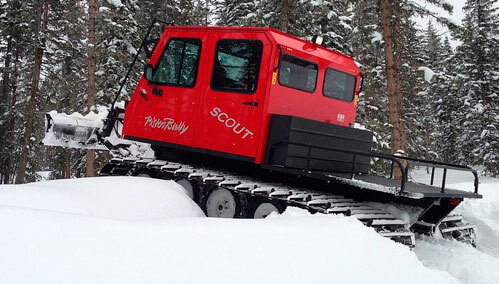 Additionally, we can supply a Pisten Bully Scout with a 1650 pound capacity, 9,000 pound winch and remote fueling capabilities. 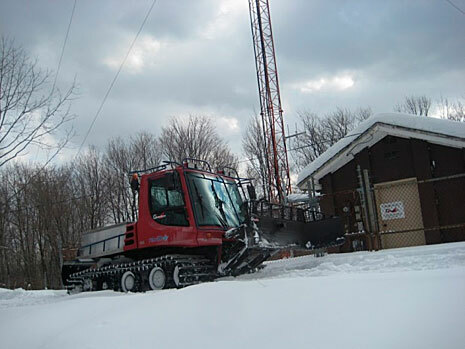 The Snow Cats are available for uses such as site maintenance, site access, snow clearing, emergency site access, generator refueling, personnel transport, equipment transport and utility R.O.W. access. We also offer a Kubota B3030 loader/snow blower capable of clearing site roads as well as a Bobcat Toolcat 5600 with a snow blower. Contact David at 845-268-7500 x112 for information on renting the machine. Hourly Prices for the PB100: $2,500 first 4 hours with a 4 hour minimum. $250.00 per hour thereafter billed in ¼ hour increments. Hourly Prices for the Scout: $2,000 first 4 hours with a 4 hour minimum. $200.00 per hour thereafter billed in ¼ hour increments. Hourly Price for the Kubota or Toolcat: $1000 first 4 hours with a 4 hour minimum. $150.00 per hour thereafter billed in ¼ hour increments. Daily pricing for the Nifty Lift are $450.00 per day plus operator. These machines are offered on first come first serve basis and can be reserved for the minimums with 24 hour notice. We require a 2 hour mobilization time, plus travel time for equipment delivery. 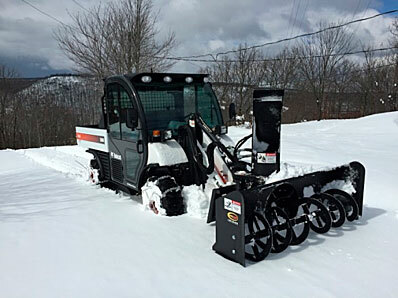 Qualified operators are included with all snow cat and snow removal deployments. Operator costs are extra for the lift rentals.